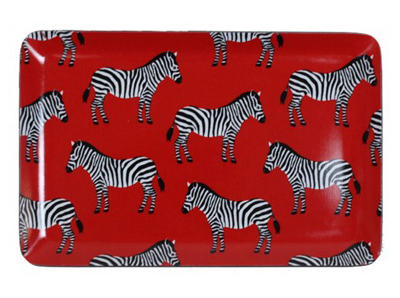 This Red Zebra Tray is coated in dishwasher safe and durable melamine. Measures 8″ x 12″. Made in the USA. $24. Buy here.